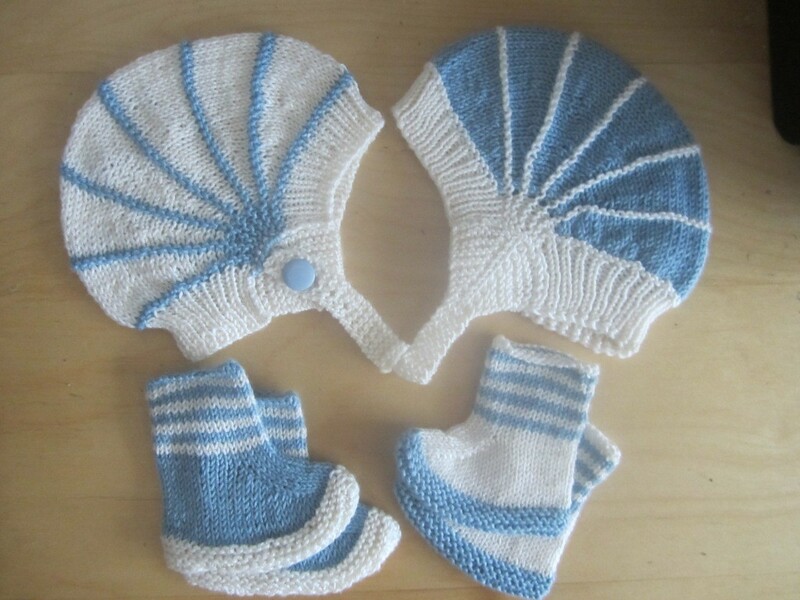 When I was starting this I didn’t know if I’m knitting sets for 2 babies, or just 1. In the end, we’ve (me and my SO, two of whose friends have just had baby boys) decided that one set of parents isn’t really knit worthy, so all this goodness goes to one little baby boy. These are two Aviatrix hats, two sets of lovebug booties and a very pretty duck. I’ve made Aviatrix hat before, but this time I added colour. Lovebug booties – I wasn’t sure I like them enough to gift them until I blocked the first pair. I’d love to see them on little feet though… And duck came out much better than I expected. 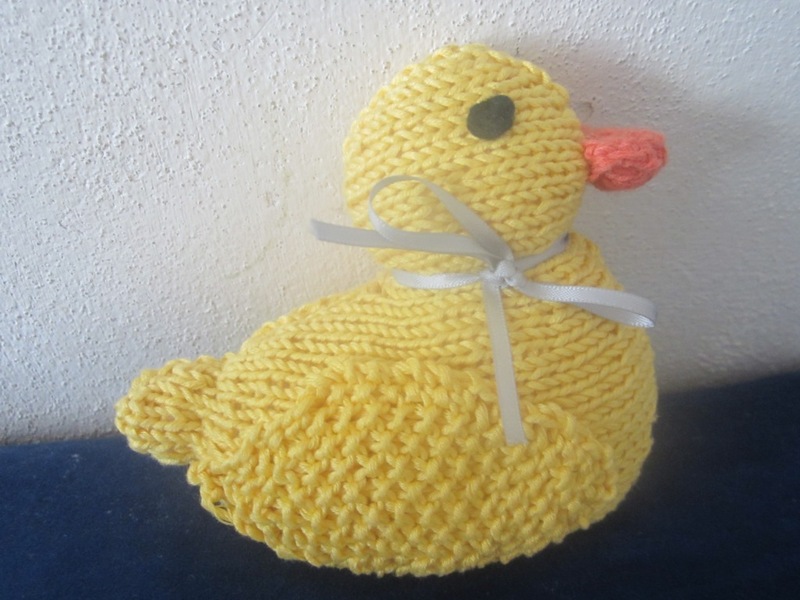 I don’t know why most ducks on author photos have their beacks stuffed – my flat one is so much more “ducky” )))). Separator image Posted in My kniting & crochet and tagged with baby booties, baby hat, baby knitting, duck, toy.